This natural stone geometry is enhanced with variegations of beige, taupe and gray. It has a slate surface texture and a satin finish with a light soft white grout line. 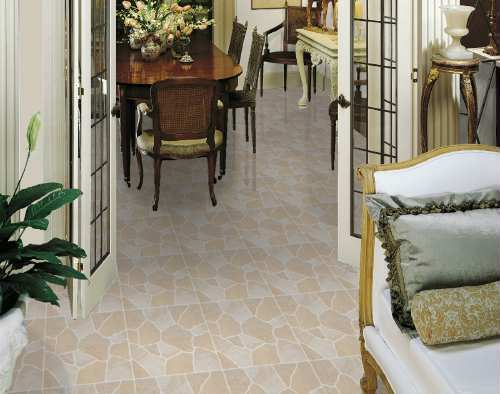 An Inlaid Color floor featuring the patented CleanSweep no-wax wear surface and a 15-year limited warranty. Available only in 6 foot width.